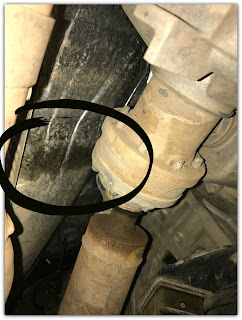 Jeep Momma - Blog: My Shafts A Woody! Hey! Don’t you get tired of waiting for Jeep Parts to arrive. Then waiting for the install party. I do. Patience! That is one of the many things my Jeep is teaching me. 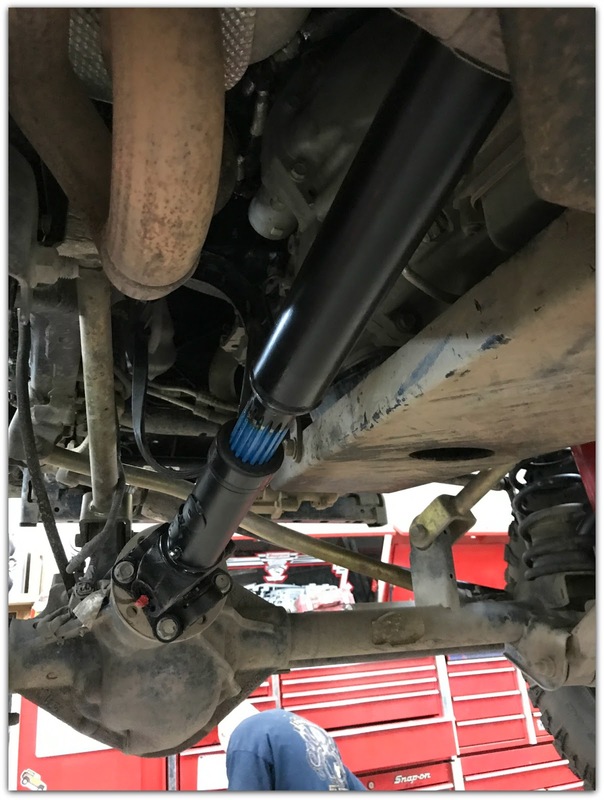 Finally, I am sporting a new front driveshaft. It's so shiny and new! I love it. I can't wait to get it dirty. I replaced my stock front driveshaft with a Tom Wood's Custom Driveshaft. A little preventive maintenance on my part. The OEM driveshaft was still working, but eventually would have failed. 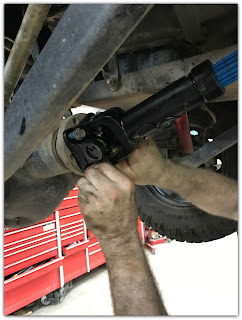 The 2015 Wrangler's (Rubicon) front driveshaft has a rzeppa joint. This joint has a boot which protects it’s guts. Mine has been flexed to it’s limits. This boot can’t hold up to the stress of the added lift on my Jeep. With all the flexing I have done, it began to crack and split. Now it is spewing grease. 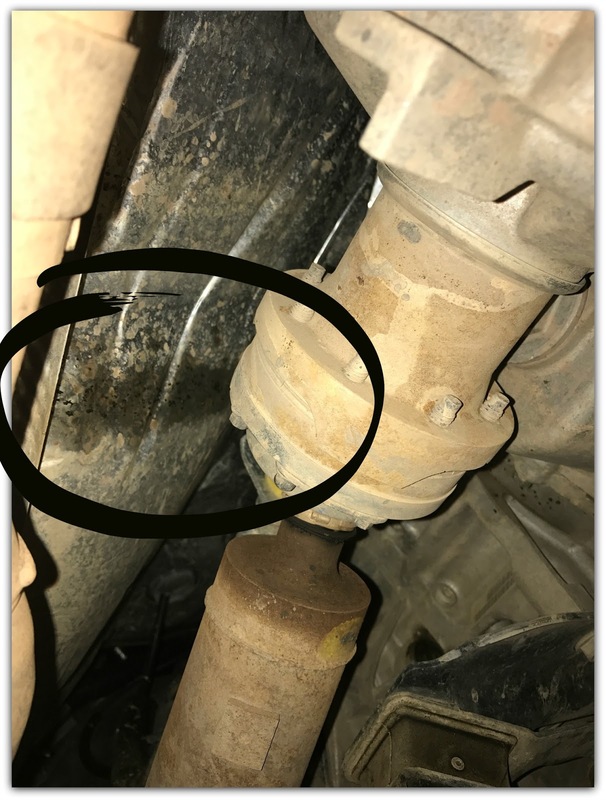 You can’t refill the grease on this OEM driveshaft, so it will eventually break. 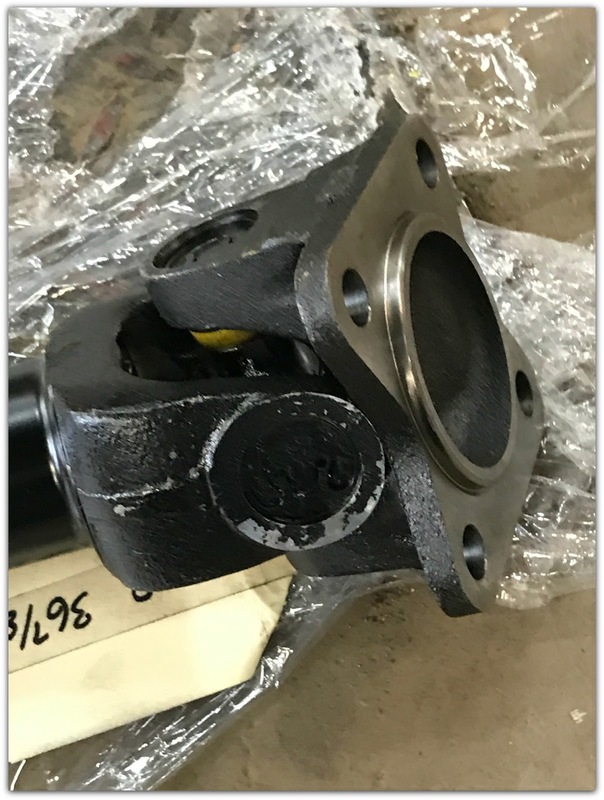 These stock driveshaft's also are larger in diameter. 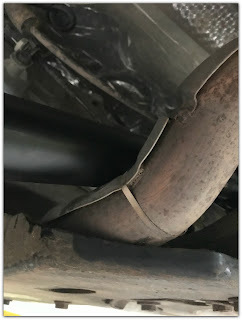 When lifted this can cause them to possibly rest on the exhaust which causes more issues. 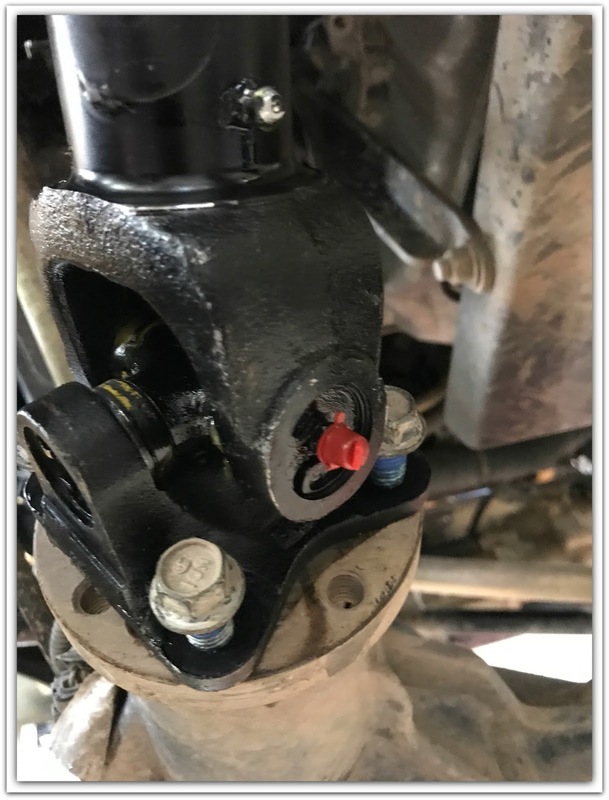 Typically you will see this issue with 3" or more of a lift, or after of 20K to 30K driving, or after off road use when the suspension stretches. 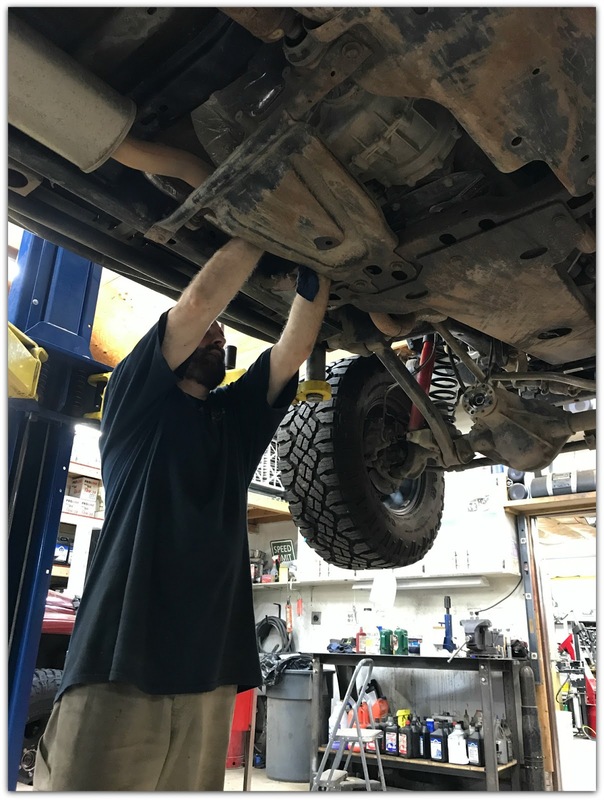 The Tom Wood’s Custom Driveshafts have a smaller diameter which allows the suspension to drop on 2012 and newer 3.6 Wranglers without touching the exhaust. The Tom Wood’s front drive shaft is a double cardan joint. This allows for more movement of the joint. There are also several points for re-greasing. A very important maintenance duty you must keep up with. 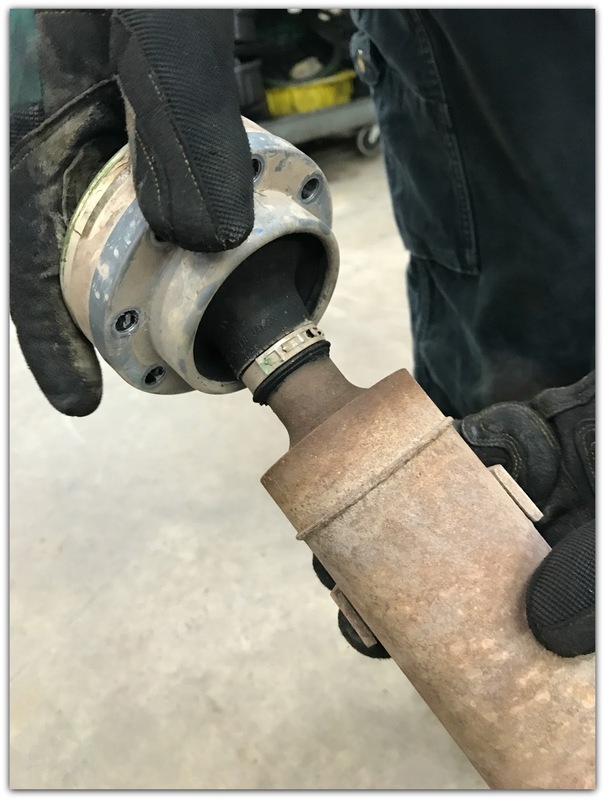 If you are diligent in re-greasing your Tom Wood's driveshaft will last forever. Re-grease every oil change and after you have been in water or mud when off roading. 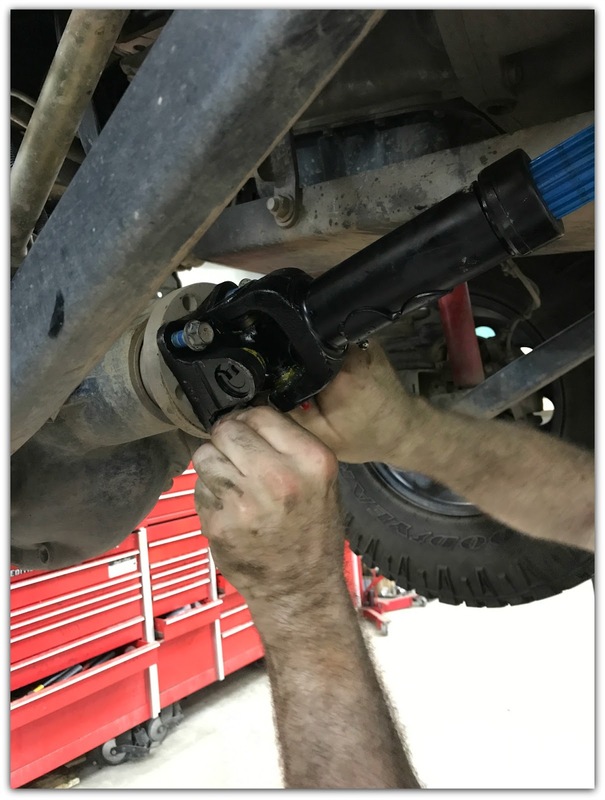 Such an awesome feeling to upgrade my Jeep - to toughen it up! 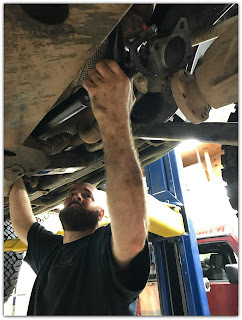 Thanks to Adrenaline Off-Road for helping with my Wrenching Party!